Our daughter, at age 6, is a party planner extraordinaire. She doesn’t need a special occasion — she’ll decide what the party will be about, describe what she’s doing to prepare for it, and give her orders (er, directions) for what she expects from her parents. Then, she set to work on the disco ball. Then she decorated it with glow-in-the-dark marker. She presented it to me, but was puzzled as to how she’d actually hang it from the ceiling. Ah, the wonderful uses for a bent paper clip. Fortunately, I subsequently persuaded her to down-size my clothing requirements for the date. Suit: No. Sport coat and tie: No. But I did offer to wear a tie, and told her she could pick it out for me. A lifetime or two ago, I accrued a large collection of ties. Most follow amusing themes, from the years I worked in elementary education. These days, during my job hunt, I rely solely on Garcia ties. I offered her many choices. Decision-making has never been a strong suit (like any 6-year-old), but she quickly made up her mind: A dark blue tie with a large image of Bugs Bunny, munching on a carrot. It looked marvelous with my black t-shirt. The party/date went off without a hitch. When you get right down to it, it was a pretty darn sweet idea, one that left three people feeling pretty good. But all of this turned out to be a prelude to my recent birthday. Batman is a very important person in our household. Not the Dark Knight — the campy 1960s Adam West series Batman. Several months back, I ordered the entire series on DVD from eBay (around $5). We have watched every episode; some more times than others. She absolutely loves the one where Batman and the Joker face off in a surfing duel. I don’t think I could watch it one more time (although Commissioner Gordon and Chief O’Hara are a hoot in their beach get-ups). She decided I would have a Batman birthday. She insisted that her mother find Batman-themed decorations, and she got me a glow-in-the-dark (again, big with the 6-year-old set, it seems) Batman shirt and a Batman pillow case. Somehow, she and her mother tracked down Batman crepe streamers, and hung those in tandem with black streamers through the inside of our backyard gazebo. But the piece de resistance was the stick-the-emblem-on-the-Batman game. It was the highlight of the party. Blindfolded, we took turns trying to stick the emblem in the right spot on the life-size Batman. The worst-placed ones were the most fun, of course. Interestingly enough, it also fulfilled one of the items listed on her summertime “bucket list” from school (but the donkey version). 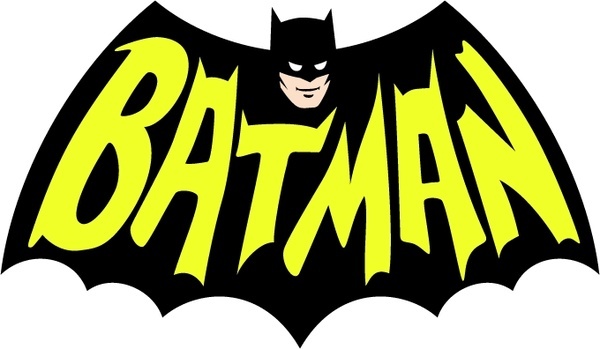 The idea of a Batman birthday party took me back … back to when the original series was airing in the mid 1960s and I told my mother I wanted a Batman party for my 8th birthday. The humid air in our open garage (it was raining) might have wilted the streamers, but my joy and the lasting memory of that day helped cement my love for the Caped Crusader, one that I’m fortunate enough to still carry, and one that reaches across time that I can share with my daughter.